Out now is the July-August Issue of BYO which includes an article, "The Cult of American Saison," that Nathan and I wrote. We talked to the brewers from St. Somewhere, Stillwater, McKenzie's, Upright, De la Senne, and Pretty Things and got some great quotes on how they see and brew the style. We had a hard time keeping this one under our 3,500 word limit because we ended up with so many topics that we just had to include (yeast strains, Brett, malt choice, hops, spicing etc...). If you want to subscribe to BYO please do so through my blog (it doesn't cost any more and I get a cut). If you already subscribe and enjoyed the article send them an email to to let them know so they keep letting me write. If anyone has suggestions for articles they'd like to see please post a comment. 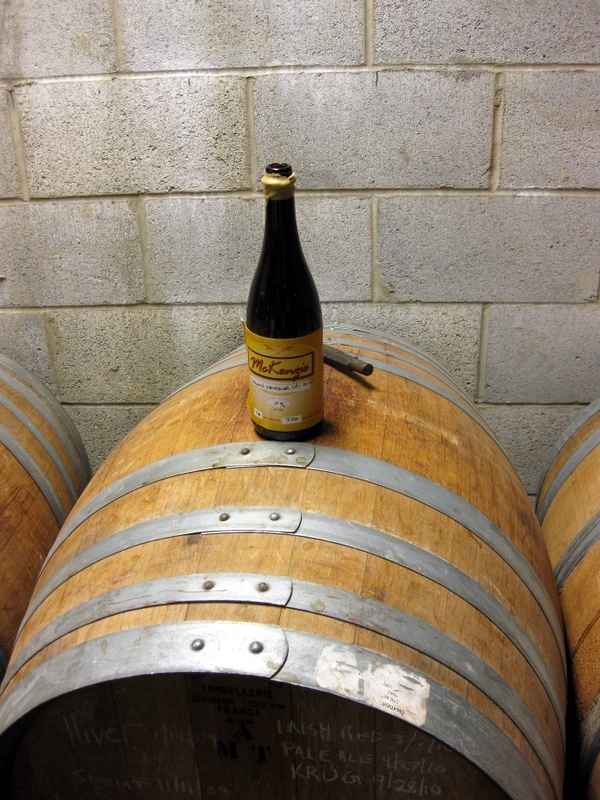 Nathan and I have been discussed doing dark lagers or gruits, and I'd like to write one about spontaneous fermentation (but that will probably have to wait until my DCambic is finished). I enjoyed your article a great deal and found it an informative read on the style. It's making my mouth water for the saison I brewed a few months ago -- it's going to age until December, and my wife and I will finally tuck into it after our baby's born. I myself have not read this latest article. I believe BYO is misunderstanding my subscription (mine was a gift, so far, only 3 mags, last one was the Stout mag). I'll pick this one up at my LHBS soon. I (for one) cant wait for your book and hope everything with it goes smoothly. I know you're a busy man. I had an idea for a black book of brewing. All the most pertinant information on styles, BJCP guidelines, grist/mash ratios, yeast temperatures, etc. Everything a new brewer might need for reference. I know having a little black book of brewing would have been supremely useful for me when I started. Even though I subscribed to BYO a while back, I still haven't received my first issue. I'll have to pick this one up next time I see it. I'm planning on brewing your Hoppy French Saison recipe this weekend, by the way, and am really lookin forward to it! Great article. Suggestion for a book chapter or article. It would be a huge amount of work but very informative. Designing Great Beers by Ray Daniels does a great job of looking at winning homebrew recipes and distilling out what they all have in common. However he doesn't include sours or wild beers and that is what I want to read about most. 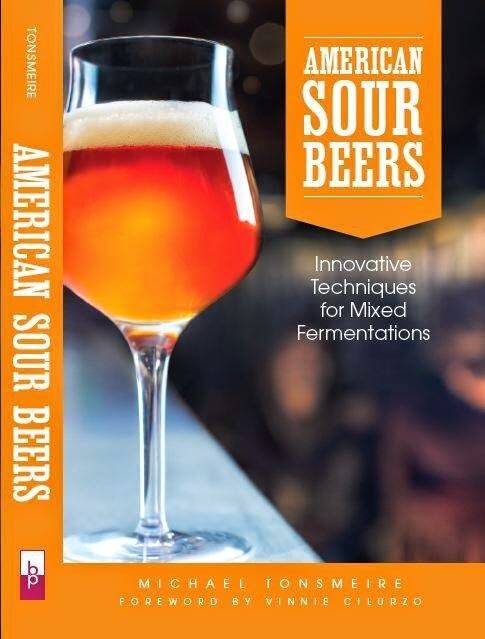 At this point the book is shaping up to have some info on the classic styles, but the real focus is on "American" style sour beers (Wild Brews and Brewing with Wheat already covered the classics pretty well). My book will be more about technique than recipe, hopefully it will be the sort of book that you can apply to brewing any sour beer you want (whether that is a Lambic or something that no one else has tried before). Glad people enjoyed the article. Good luck on the hoppy French saison, I wanted to include that one, but my dark saison made for a better contrast (even though they added the word “clone” to the recipe name for some reason). A little black book sounds like a good idea for new brewers. Read the article a coiple fo weeks ago when it first came out in BYO. I have to say your work is one of the better written articles from BYO. Keep on it - great job! GAH! The LHBS was sold out of BYO. I'll have to keep scouring. Just so happens it was time to sign up for BYO again... Used the link you posted, thanks for the all the great posts. Keep up the good work! I finally found a copy of BYO. I really enjoyed your article...especially the part on yeast. I'll definately hand onto that for future reference. Nice job on the article. Killer quote to open it. Look forward to trying the recipes out. And I will pass a note onto mag for you guys. 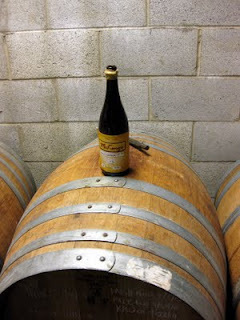 ps-Did I hear that Upright is using a new yeast instead of the French Saison? Nathan deserves all the credit for getting those quotes, whenever I talk to brewers all I want to do is talk process. I did see Upright had a blog post a couple months back about their love/hate relationship with 3711 and their trials with a newly harvested strain. I’ll have to get my hands on a few bottles and see how they compare. Would I be able to use a slury of American Farmhouse with the Roeselare Blend? Trying to avoid by another yeast package if at all possible. It looks like this beer is designed to be drunk relatively quickly? That was actually Nathan's recipe, but I think you'd be fine with that combo of yeast/bugs. Nathan served it pretty fresh on tap, that is fine, but if you are looking to bottle wait until the gravity is stable before you do. Good luck, let us know how it comes out.